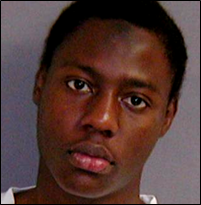 Umar Farouk Abdulmutallab—known colloquially as the “underwear bomber”—is the attempted suicide bomber from Nigeria who targeted a Detroit-bound airliner on Christmas Day, 2009.David Ariosto and Deborah Feyerick, “Christmas Day Bomber Sentenced to Life in Prison,” CNN, February 17, 2012, http://www.cnn.com/2012/02/16/justice/michigan-underwear-bomber-sentencing/.Abdulmutallab—who had traveled to Yemen to meet with al-Qaeda cleric Anwar al-Awlaki—pled guilty in October 2011 to eight counts related to the failed bombing, including attempted use of a weapon of mass destruction and conspiracy to commit an act of transnational terrorism.“‘Underwear Bomber’ Umar Farouk Abdulmutallab Pleads Guilty,” Federal Bureau of Investigation, October 12, 2011, https://archives.fbi.gov/archives/detroit/press-releases/2011/underwear-bomber-umar-farouk-abdulmutallab-pleads-guilty. Abdulmutallab is currently serving life in prison in Florence, Colorado.Hannah Fairfield and Tim Wallace, “The Terrorists in U.S. Prisons,” New York Times, April 7, 2016, http://www.nytimes.com/interactive/2016/04/07/us/terrorists-in-us-prisons.html. Abdulmutallab was a member of Nigeria’s elite but was nonetheless drawn to extremism from an early age, according to reports from classmates, friends, and relatives. Abdulmutallab’s father, Umaru Mutallab, was a wealthy banker who had previously served as Nigeria’s economics minister,Andrew Johnson and Emily Dugan, “Wealthy, Quiet, Unassuming: the Christmas Day Bomb Suspect,” Independent (London), December 26, 2009, http://www.independent.co.uk/news/world/americas/wealthy-quiet-unassuming-the-christmas-day-bomb-suspect-1851090.html. allowing Abdulmutallab to attend a series of prestigious schools abroad, including the British School in Lome (BSL), Togo.“Profile: Umar Farouk Abdulmutallab,” BBC News, October 12, 2011, http://www.bbc.com/news/world-us-canada-11545509. It was at BSL, according to Abdulmutallab’s father, that Abdulmutallab was first radicalized to an extremist interpretation of Islam.“Profile: Umar Farouk Abdulmutallab,” BBC News, October 12, 2011, http://www.bbc.com/news/world-us-canada-11545509. One teacher from BSL described Abdulmutallab as a “dream student,” but nonetheless noted that in hindsight, signs of his radicalization could have been present as early as 2001. That year, according to the teacher, the class had a number of discussions about the Taliban, during which Abdulmutallab was the sole Muslim student to speak up in the group’s defense.“Profile: Umar Farouk Abdulmutallab,” BBC News, October 12, 2011, http://www.bbc.com/news/world-us-canada-11545509. Soon after, Abdulmutallab reportedly gained a reputation at the school for proselytizing to other students.“Profile: Umar Farouk Abdulmutallab,” BBC News, October 12, 2011, http://www.bbc.com/news/world-us-canada-11545509. The ideology that Abdulmutallab began to cultivate and propagate in Togo came back home with him to Nigeria, according to reports from relatives. A cousin of Abdulmutallab’s noted that whenever Abdulmutallab returned from his studies and vacations abroad, he would scold his father and tell him that he should quit his profession since charging interest was “un-Islamic.”Adam Nossiter, “Lonely Trek to Radicalism for Terror Suspect,” New York Times, January 16, 2010, http://www.nytimes.com/2010/01/17/world/africa/17abdulmutallab.html. In 2005, Abdulmutallab left the continent to study abroad, this time at the prestigious University College London (UCL) in London, England. There, Abdulmutallab began to study engineering and served as president of the Islamic society.Chris Irvine, “Detroit Terror Attack: Suspect President of University Islamic Society,” Telegraph (London), December 29, 2009, http://www.telegraph.co.uk/news/uknews/terrorism-in-the-uk/6902785/Detroit-terror-attack-suspect-president-of-university-Islamic-society.html. Yemeni officials claim that it was during this time that Abdulmutallab was recruited to a local al-Qaeda cell in London, a claim denied by both the U.K. government and UCL.“Profile: Umar Farouk Abdulmutallab,” BBC News, October 12, 2011, http://www.bbc.com/news/world-us-canada-11545509. One of Abdulmutallab’s classmates maintains that Abdulmutallab showed no signs of radicalization while at UCL, and therefore must have been recruited to al-Qaeda after leaving the United Kingdom in 2008.“Profile: Umar Farouk Abdulmutallab,” BBC News, October 12, 2011, http://www.bbc.com/news/world-us-canada-11545509. Abdulmutallab graduated from UCL in 2008 and told his parents that he wanted to study Arabic abroad. His parents sent him to Dubai, where they hoped the UAE’s cosmopolitan culture would help mitigate Abdulmutallab’s tendency to extremism.“Profile: Umar Farouk Abdulmutallab,” BBC News, October 12, 2011, http://www.bbc.com/news/world-us-canada-11545509. By late 2009, however, Abdulmutallab had reportedly told his parents that he was dropping post-graduate business classes to move to Yemen. It was during this time that Abdulmutallab’s father reportedly sought help from U.S., Nigerian, and Saudi authorities to retrieve his son from Yemen.“Profile: Umar Farouk Abdulmutallab,” BBC News, October 12, 2011, http://www.bbc.com/news/world-us-canada-11545509. In October 2009, Abdulmutallab called the U.S. embassy in Lagos, warning the embassy of Abdulmutallab’s suspected radicalization.Eric Lipton and Scott Shane, “Questions on Why Suspect Wasn’t Stopped,” New York Times, December 27, 2009, http://www.nytimes.com/2009/12/28/us/28terror.html. By this time, Abdulmutallab had already left Dubai, having traveled to Yemen with the express purpose of meeting with Anwar al-Awlaki, according to U.S. court documents.“Government Sentencing Memorandum: United States of America v. Umar Farouk Abdulmutallab,” United States District Court for the Eastern District of Michigan Southern Division, February 10, 2012, 13-14, https://www.documentcloud.org/documents/291667-abdulmutallab-sentencing-memorandum.html. While in Yemen, Abdulmutallab traveled between mosques, inquiring where he could meet the American-Yemeni cleric. Abdulmutallab eventually came across someone who agreed to pass Abdulmutallab’s contact information on to Awlaki himself.“Government Sentencing Memorandum: United States of America v. Umar Farouk Abdulmutallab,” United States District Court for the Eastern District of Michigan Southern Division, February 10, 2012, 13-14, https://www.documentcloud.org/documents/291667-abdulmutallab-sentencing-memorandum.html. According to U.S. court documents, Awlaki and Abdulmutallab first spoke by text and then by phone, later agreeing to meet in person. After spending three days in Awlaki’s residence in Yemen and being vetted by Awlaki himself, Abdulmutallab was accepted for a suicide mission and referred to al-Qaeda bomb maker Ibrahim al-Asiri, who designed a chemical bomb specifically for Abdulmutallab. Asiri instructed Abdulmutallab on how to conceal and detonate the bomb, which would involve using a syringe to allow the explosive chemicals to mix.“Umar Farouk Abdulmutallab Sentenced to Life in Prison for Attempted Bombing of Flight 253 on Christmas Day 2009,” U.S. Department of Justice, February 16, 2012, https://www.justice.gov/opa/pr/umar-farouk-abdulmutallab-sentenced-life-prison-attempted-bombing-flight-253-christmas-day. Awlaki then worked personally with Abdulmutallab to create a five-minute-long “martyrdom video,” to be released following the attack.“Government Sentencing Memorandum: United States of America v. Umar Farouk Abdulmutallab,” United States District Court for the Eastern District of Michigan Southern Division, February 10, 2012, 14, https://www.documentcloud.org/documents/291667-abdulmutallab-sentencing-memorandum.html. “Profile: Umar Farouk Abdulmutallab,” BBC News, October 12, 2011, http://www.bbc.com/news/world-us-canada-11545509. On December 24, 2009, Abdulmutallab used a one-way ticket to fly from Nigeria to the United States, with a layover in Amsterdam. Abdulmutallab landed in Amsterdam Airport Schiphol shortly before 6:00 a.m. local time on December 25. At 8:30 a.m., Adulmutallab boarded Northwest Flight 253 from Amsterdam to Detroit.“Aanslag op vlucht Schiphol - Detroit mislukt,” NRC, December 26, 2009, http://vorige.nrc.nl//binnenland/article2445884.ece/Aanslag_op_vlucht_Schiphol_-_Detroit_mislukt. Twenty minutes before landing in Detroit, Michigan, Abdulmutallab attempted to explode the suicide bomb strapped to his underwear. Rather than explode, the bomb lit on fire, causing severe burns to Abdulmutallab’s leg. Abdulmutallab was subdued by a nearby passenger and arrested upon his arrival in Detroit.Scott Shane and Eric Lipton, “Passengers’ Quick Action Halted Attack,” New York Times, December 26, 2009, http://www.nytimes.com/2009/12/27/us/27plane.html. On October 12, 2011, Abdulmutallab pled guilty to all charges leveled against him, saying that he “attempted to use an explosive device which in the U.S. law is a weapon of mass destruction,” but which he considered a “blessed weapon.”Monica Davey, “Would-Be Plane Bomber Pleads Guilty, Ending Trial,” New York Times, October 12, 2011, http://www.nytimes.com/2011/10/13/us/umar-farouk-abdulmutallab-pleads-guilty-in-plane-bomb-attempt.html. Abdulmutallab aligned himself with al-Qaeda and said that he was “greatly inspired to participate in jihad by the lectures of the great…Anwar al-Awlaki, may Allah preserve him and his family and give them victory.”Monica Davey, “Would-Be Plane Bomber Pleads Guilty, Ending Trial,” New York Times, October 12, 2011, http://www.nytimes.com/2011/10/13/us/umar-farouk-abdulmutallab-pleads-guilty-in-plane-bomb-attempt.html. Abdulmutallab was sentenced to life in prison without parole on February 16, 2012.“Umar Farouk Abdulmutallab Sentenced to Life in Prison for Attempted Bombing of Flight 253 on Christmas Day 2009,” U.S. Department of Justice, February 16, 2012, https://www.justice.gov/opa/pr/umar-farouk-abdulmutallab-sentenced-life-prison-attempted-bombing-flight-253-christmas-day. He is currently serving his sentence in a maximum-security prison in Florence, Colorado.Hannah Fairfield and Tim Wallace, “The Terrorists in U.S. Prisons,” New York Times, April 7, 2016, http://www.nytimes.com/interactive/2016/04/07/us/terrorists-in-us-prisons.html. “[P]articipation in jihad against the United States is considered among the most virtuous deeds in Islam and is highly encouraged in the Koran.”“Government Sentencing Memorandum: United States of America v. Umar Farouk Abdulmutallab,” United States District Court for the Eastern District of Michigan Southern Division, February 10, 2012, https://www.documentcloud.org/documents/291667-abdulmutallab-sentencing-memorandum.html. “I attempted to use a device which in the U.S. law is a weapon of mass destruction, which I call a blessed weapon…”Monica Davey, “Would-Be Plane Bomber Pleads Guilty, Ending Trial,” New York Times, October 12, 2011, http://www.nytimes.com/2011/10/13/us/umar-farouk-abdulmutallab-pleads-guilty-in-plane-bomb-attempt.html. “I was greatly inspired to participate in jihad by the lectures of the great and rightly guided mujahedeen who is alive, Sheik Anwar al-Awlaki, may Allah preserve him and his family and give them victory.”Monica Davey, “Would-Be Plane Bomber Pleads Guilty, Ending Trial,” New York Times, October 12, 2011, http://www.nytimes.com/2011/10/13/us/umar-farouk-abdulmutallab-pleads-guilty-in-plane-bomb-attempt.html.